Need a break from the daily grind? Check out our top five spots to enjoy a coffee break in Portland. 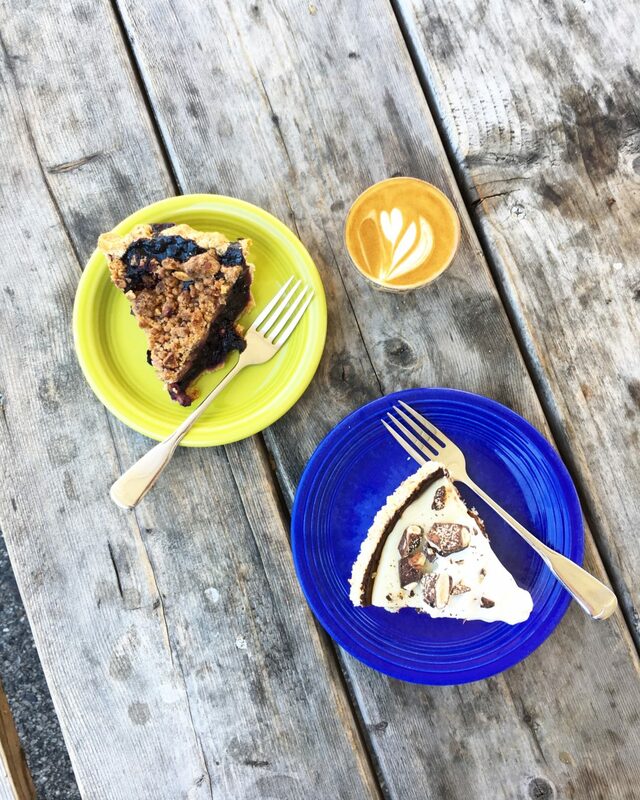 Whether grabbing a cup of one of their single origins at their original location in East Bayside or sampling one of Briana Holt’s incredible sweets at their bakery across the street from The Francis, Tandem is one of our favorite places to enjoy a coffee break. Founded by Will and Kathleen Pratt, Tandem has quickly become a Portland staple. Bard’s mission is to tell the stories of the people, places and coffees that make their brews special in every cup they serve as if they are fulfilling a promise. We love tucking into a window seat in their Middle Street location to enjoy one of their refreshing and velvety Nitro Cold Brews. When we want to slow down and savor a pour over, we look no further than Congress Street’s Speckled Ax. They roast using a vintage Italian Petronicini fired with local hardwood, imparting an incredible and complex flavor into their coffees. Whether grabbing an espresso at their Commercial or Free Street locations, Arabica consistently pours a mean cup of coffee. We especially love the Commercial Street location because of their bevy of ready-made healthful lunch options to go with our iced coffee. Coffee by Design is the roastery that started it all in Portland. They create custom blends for coffee shops all over the country and have a talented team of baristas ready to brew one of the most robust cups of coffee in town. And you can find them in nearly every corner of Portland’s Peninsula, though we love going down to their East Bayside location to watch them roast while enjoying a cup.